Just off of the main dining room of Pack’s Tavern, the South Bar offers a sports viewing or group dining experience like no other. Gorgeous, 1930s-era design with original brick walls and 17-foot high ceilings give an old-Asheville feel. 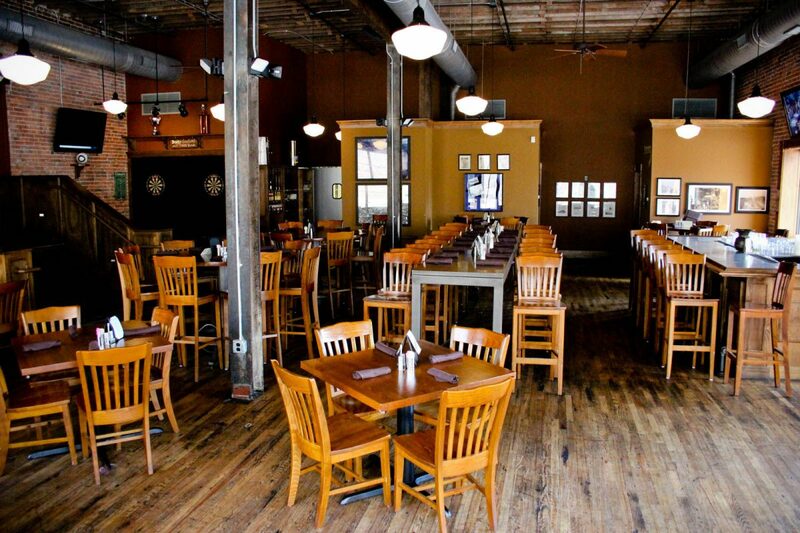 Looking for the perfect location to hold your next group dinner? 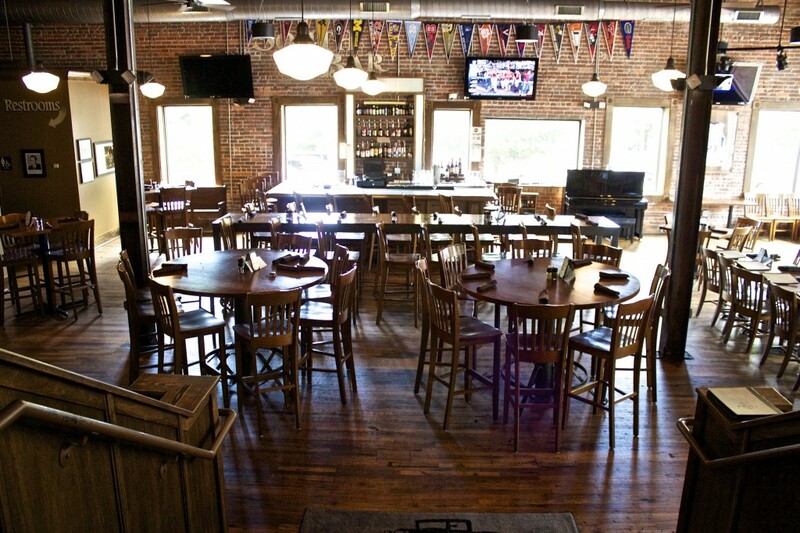 The South Bar is a great space to gather a group from the office, friends, your sports team or family for dinner. Our staff is experienced with group dining, we offer limited menus and one or separate checks. Please email for details at packstavernasheville@gmail.com or call 828-225-6944. The South Bar is available for private and semi-private functions based on availability Sunday – Thursday. Multiple HD TVs surround the room, ensuring you’ll always watch the game from the best seat in the house. And our 110″ HD Projection Screen highlights the biggest sporting events! Get out for a night of fun with friends or meet new friends on one our many nights with amazing live music. Great food & drinks and warm, friendly service in a one-of-a kind Tavern.